Robert E. Hecht Jr., leading antiquities dealer over five decades, dead at 92. Bob Hecht died quietly at home in Paris at about noon on Wednesday, according to his wife Elizabeth. He was 92 years old. Here’s my obituary in the LA Times. Indeed, as Hecht later revealed in his unpublished memoir, he had just bought the vase from “loyal suppliers” who had dug it up from ancient tombs outside Rome and smuggled it out of Italy. The ensuing controversy over the so-called Euphronios krater marked a turning point in the art world, opening the public’s eyes to the shady side of museums. It also solidified Hecht’s reputation as the preeminent dealer of classical antiquities, driving him underground — but not out of business. Hecht was accused of being a key player in that illicit trade, along with his alleged co-conspirators, former J. Paul Getty Museum antiquities curator Marion True and Italian dealer Giacomo Medici. Medici, who supplied Hecht with the Met’s famous vase after buying it from looters, was convicted in 2004. The trial of Hecht and True began in 2005, but the statute of limitations expired before the court could reach a verdict for either. It was there that he began buying ancient art. At the time, ancient artifacts were sold openly to tourists in the city’s piazzas. But Hecht soon learned that his passion carried risks. In 1962, he was barred from reentering Turkey after being accused of trying to smuggle out ancient coins. Not long after, he was accused in Italy of trafficking in looted antiquities. 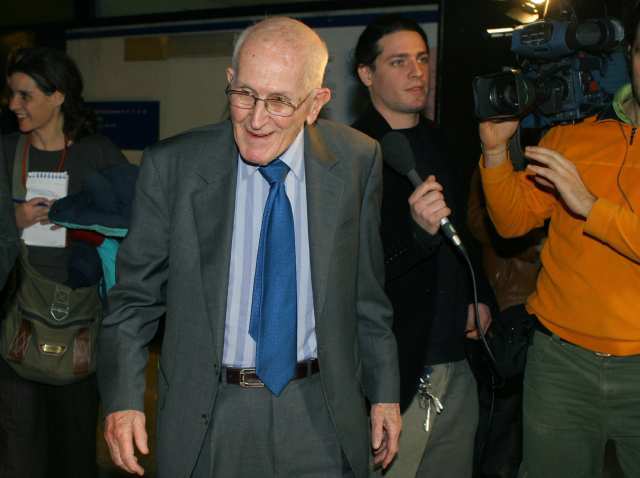 Italy’s highest court eventually exonerated him for lack of evidence. 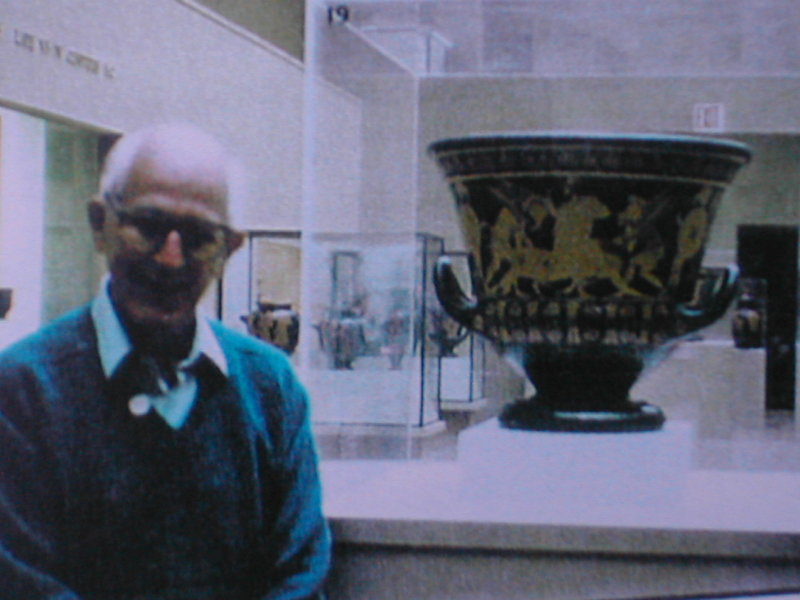 That case was still working through Italy’s legal system when Hecht was offered the Euphronios krater by Medici, who had grown up near the Etruscan necropolis where the vase was illegally excavated. Soon after meeting, McNall and Hecht became partners, and according to McNall began selling recently looted antiquities to museums and collectors out of McNall’s Rodeo Drive storefront gallery. They also created an elaborate tax fraud scheme with former Getty antiquities curator Jiri Frel, arranging for Hollywood figures to donate looted antiquities to the Getty in exchange for inflated tax write-offs. “I found him to be without question the most knowledgeable person I’d met in the business, much more of an academic than a dealer,” said McNall, who went on to produce Hollywood films and buy the Los Angeles Kings hockey team before going to jail on unrelated bank fraud charges. It was Hecht’s ties to the Getty that landed him on trial with True in Rome. In addition to Hecht’s memoir, which was seized in 2001, investigators found correspondence in which the two appeared to openly discuss the illicit origin of objects the Getty was buying. Confronted with the evidence, the Getty and other leading American museums agreed to return more than 100 antiquities to Italy, including dozens that came through Hecht. Among them was the Met’s Euphronios krater, which was returned to Italy in 2008. “He was not able to be proven guilty, so he was innocent,” Hecht’s wife, Elizabeth, said Wednesday. Please feel free to share your memories of him in the comments below. Tagged archaeology, Euphronios krater, Getty Museum, illicit antiquities, Marion True, Metropolitan Museum of Art, Robert E. Hecht Jr.
Robert Hecht called the other day to say he’d received the copy of Chasing Aphrodite that we sent to his home on Boulevard La Tour Maubourg in Paris. Hecht is the American antiquities dealer who has dominated the trade for more than 50 years. Italian authorities believe he was also a mastermind of the international blackmarket in looted art — his name appeared at the top of an organization chart of looters, middlemen and dealers that Italian police found in the early 1990s. When Getty antiquities curator Marion True was indicted in 2005, Hecht was named as her co-defendant. His criminal trial in Rome on charges of trafficking in looted art continues today. That’s the first of nearly thirty references to Hecht in Chasing Aphrodite. Even so, we felt it was short shrift for a man whose role in the art market is truly legendary. During our interviews and meetings with Hecht over the years, he was always a pleasure to deal with. He is an engaging dinner companion, often charming and talkative while being coy about the key details we were scratching for. Today, at 92 years old, he suffers from some health problems but retains the sharp wit he’s long been known for. So, what did Hecht think of the book? “It was a well written book except for one lie, which I hope was not your invention,” he said. Hecht was not disturbed by the allegations that he virtually ran the illicit antiquities trade for 50 years. He wasn’t upset about being called a gambler and an abusive alcoholic, or a participant in a massive tax fraud scheme, or the man largely responsible for the destruction of thousands of archaeological sites. The offending passage was the reference to Hecht “eliminating rivals with an anonymous call to the police.” We based it on conversations with Italian law enforcement sources. Hecht assures us it is not true. Many in the trade recall how Hecht threatened to expose his rivals in a memoir he was writing. He never followed through on those threats — the unpublished memoir was seized by Italian authorities and is now among the most compelling evidence against him at trial. But dropping a dime to the police is different. 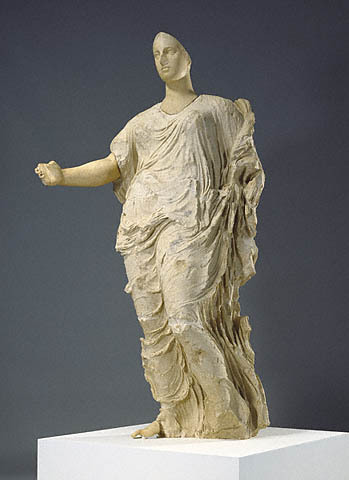 Going back over our notes, there is only one specific case Italian authorities cited in suspecting Hecht of being “a squealer.” It involved the Getty’s 1988 acquisition of the statue of Aphrodite from Hecht’s rival, London dealer Robin Symes. Shortly after the whopping $18 million acquisition — a record at the time –Interpol Paris received an anonymous tip claiming the Aphrodite had been looted from Morgantina, Sicily. The tipster named the looters and middlemen in the transaction with detail that later proved remarkably accurate. Italian authorities have long suspected the source was Hecht, who lived in Paris at the time and may have been jealous of his rival Symes. But the Italians have no proof of their hunch, and Hecht flatly denies being the tipster. Given his clear denial, and absent further supporting evidence from our Italian sources, we agreed to correct the record. 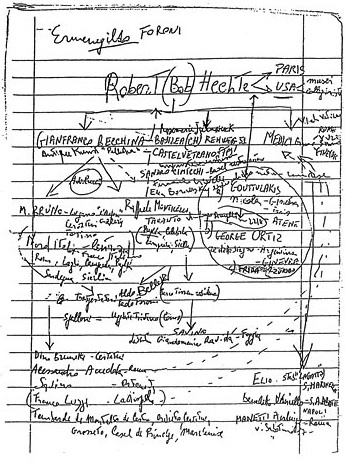 Robert Hecht is many things, but to the best of our knowledge, he is not a squealer. We’ve invited Hecht to join us later this month in his hometown of Baltimore, where we’ll be speaking at the Walters Museum on October 29th. He will be in the States that week and did not rule out the possibility of joining us.